Generally speaking, April and May can be a funny old time for clay shooters. The memories of even the final days of the game season have faded into the mists of time and even the annual rounds of roost shooting have been and gone. 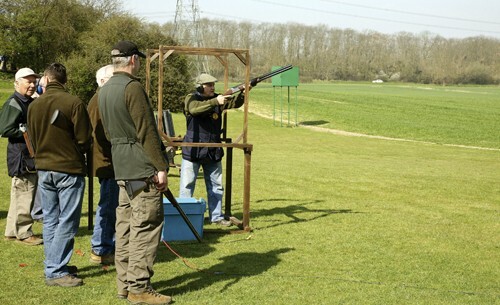 But, on the brighter side, the clocks have gone forward and the lighter evenings are simply crying out offering extra clay shooting opportunities. Well, any time spent with a shotgun in your hand is not wasted so it leaves us several options to consider. First off, the countryside in general is simply crying out for an extra-strong dose of pest control – pigeons, rabbits and rats, for instance, are currently breeding and multiplying quicker than anyone can shoot them – so many an evening could be spent doing your bit for conservation with some 30-gram sixes. As a farmer I reckon this is an ideal way to hone your snap shooting skills while also doing something positive in the vermin control line. But sometimes you simply don’t have time to spend the whole evening out chasing rabbits and the like around the hedgerows, so this is where a concentrated clay session comes to the fore. 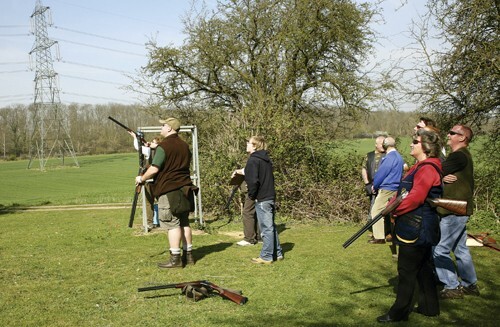 An hour or so working your way around a Sporting layout is probably the best way of practicing all your clay shooting skills… but why do we practice? Well, pretty obviously you want to beat your mates next time you go around in a squad, that hardly needs saying, but there could be much more to it than that. If you’re going to get all competitive, well, why not do it for real? With this in mind, this month I’d like to look at competition shooting, irrespective of whether it’s your first registered shoot or a world championship qualifier. Over the years I’ve found that being prepared is a big part to a successful day’s competitive clay shooting. To be honest, I’d say it was a good part of the battle. And as far as preparation goes, and I might sound a bit like your mother before the first day of term, make sure you get all your gear ready the night before; gun, cartridges, ear defenders, everything you’re going to need, even down to and including what clothes you’re going to wear. The theory is to take all the stress out of the day – worrying about whether you’ve remembered to bring your gun certificate, BASC/CPSA card for insurance or whatever, certainly isn’t going to make you shoot any better. 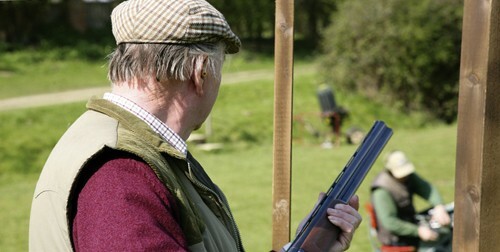 If you’re going to a new clay shooting ground, plan your route in advance and leave plenty of time for the journey. Make it easy for yourself – you don’t want any distractions, hassle or worry on the day – all you want to do is to be able to concentrate on your shooting. This in itself could be one of our rules for the day, don’t allow yourself to get stressed. It’s also worth pointing out at this stage that this is supposed to be fun – you’re doing something that you’ve been looking forward to and you say you love! Enjoy it. Nobody’s forcing you to shoot, so don’t forget it! Having just mentioned stress it’s worth a closer look. 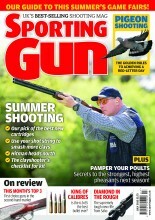 A lot about successful clay shooting, especially in competition, is a mental thing and nerves can be a real handicap. Regular readers might remember me telling the story of when I saw the biggest, burliest, tattooed hard-case go to pieces on stand number one, simply because of nerves! And just a few minutes later it was the same bloke that shot brilliantly on every stand after number three, simply because he’d settled down. By then, though, the damage had been done. The scores he’d dropped meant he could never recover and he stood no real chance of stepping up onto the podium. And it can happen to anyone. I’ve even seen more than one of our country’s ‘top shots,’ the elite international shooters, go to pieces – missing clays that normally they would have hit 100 times out of 100, simply because of nerves and pressure. (Think Peter Wilson and that missed pair towards the end of the Olympic final!). To counter this and alleviate the lion’s share of the pressure you must concentrate even before you shoot. Try to read the clay and simplify the target before you shoot, especially on a type of bird that you haven’t encountered before. Follow its flight through the air with your finger – is it dropping or rising? Is it veering slightly to the left or right? How fast is it going? Is there a false ground or tree line that could lure you into shooting high or low? And then, with this considered, where is your kill zone going to be? With the kill zone decided, where are you going to pick it up (visually) as it leaves the trap… and how should your stance be? If the discipline allows, would you be better shooting ‘gun up’? There are simply loads of variables to consider – and remember you haven’t fired a shot yet! Remember, though, that sometimes the flight of the target does look considerably different from inside the hoop compared with what you see when you’re standing outside the stand and watching someone else shoot. A typical example of this would be a teal-type on a sporting layout. You might think that this is a rising straight, going away bird, but clays will often wander to the left or right – all depending on the wind conditions and the angle at which the trap is set. Nine times out of ten the bird will not fly ‘straight’ so if you don’t compensate (by that I mean you shoot straight at the target) it is pretty much odds on that you’ll miss. You can learn a lot by watching your fellow competitors shoot but an important thing to remember is not to get in the way or interfere with their clay shooting in any way. Think how you’d feel if you swing to face the second bird of a double and there’s someone breathing down your neck as they look over your shoulder! Whatever level you’re competing at, accept the fact that at the end of the competition you probably won’t be the high gun of the day. But if you’ve taken on board everything your instructor has said in the past, you’ve done your best and you’ve learnt from your mistakes, well, you have no reason to be disappointed. Don’t beat yourself up if you don’t do very well. Everyone starts out as a recreational shooter and thousands go on to shoot in serious competitions. As long as you feel you’ve done okay that’s fine – if you’re unhappy with your performance don’t despair, just stick with the practicing and remember it will be better next time.